The Annual Stated Meeting (ASM) of the Congregation will take place on Monday 31st March at 7.30pm. Why not make an evening of it by joining us at 6.30pm for a potluck supper!! In our recently published Annual Report for 2013, the Kirk Session looked back to summarise some of the many activities that have been undertaken by Newhaven Church over the past year, and looked forward to how we can further develop in 2014 through to March 2015. We urge members, regular attenders and all people who are even vaguely interested in or connected with Newhaven Church to read the Annual Report and reflect upon it! This year’s Annual Stated Meeting, which will be held on Monday 31st March 2014, will give all members and regular attenders the opportunity to reflect upon our Church’s activities, to have discuss on the way forward, to ask questions of the Kirk Session and to voice support or otherwise for it. We will discuss the Church’s 2013 accounts, have group discussion, and discuss formal ASM business which will include the re-designation of the Development Fund. We hope that as many members and regular attenders will attend this very important event in our Church year. It’s a time for fellowship and celebration of where we have been together, and a time for support, encouragement to each other and the seeking of God’s blessing for the times ahead. 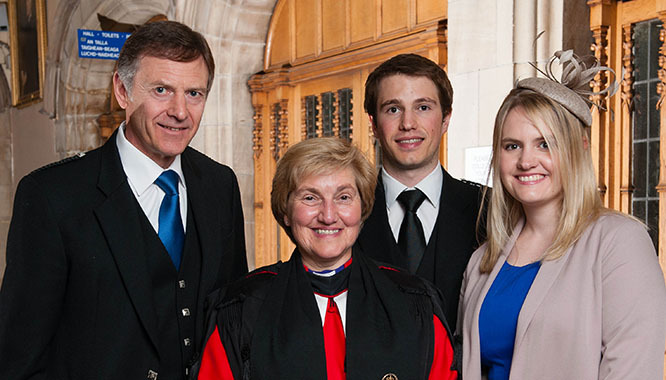 This article has been taken from its original source on the Church of Scotland’s website. The head of one of the most influential councils in the Church of Scotland said that what she wants for Christmas is justice for people reliant on food-banks. “There is a gospel bias for the poor and the Church of Scotland makes deliberate decisions to ensure that its resources, material and spiritual, correspond to that bias, not as an issue of charity, but of justice” said the Reverend Sally Foster-Fulton, Convener of the Church and Society Council. “In our society we are seeing a huge increase in reliance on food-banks. Thank God there are still people who will work to tackle food poverty and food insecurity. To people who donate, who volunteer – who embody care, thank you. Your commitment and love is inspirational. My comments aren’t meant to undermine this, but rather to ask the question ‘is this enough?’ Are we in danger of offering a band aid without looking for the source of the bleeding? “We’re called to question the systems which mean, despite living in one of the most affluent and developed countries in history, there are children who still go hungry, whilst others have a super-abundance of wealth. Inequality like this is an appalling indictment on our system and our society. Where is the justice in food-banks? The Church of Scotland Moderator’s New Year message below has been taken from its original source on the Church of Scotland’s website. “At New Year I am always conscious of the gap between what I wish for and the reality of what is and what may be possible. In 2014 we in Scotland will make some decisions which will chart the course of our future as a country. 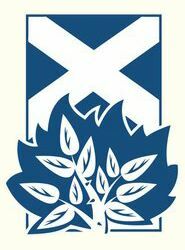 Imagining Scotland’s future – a consultation led by the Church of Scotland – has provided us with some key elements of these hopes and dreams. Individuals coming to the gatherings in church halls across the country are telling us that, regardless of the referendum result, they wish society to be characterised by integrity, fairness and a sense of well-being. I am concerned we may be turning into a society with an ever increasing desire to acquire what we want, when we want it. Adverts during sports and other TV programmes encourage us to place bets using tablets and smart phones within arm’s reach. Gambling has a long history, but we are now in an era where it is more accessible because of new technology and promoted more through mass advertising. The ads seek to present regular gambling as a cool, normalised part of our culture. Companies may become richer through this commerce. The danger is that individuals and their families simply become debt-ridden, with all the misery that entails. It is of little comfort that other adverts seem to suggest that it is pragmatic to solve financial problems by taking out loans with eye-watering interest rates. Many disabled and long term unemployed worried about how changes to the benefits system will affect them. Daily we witness continued violence and the subsequent never ending stream of refugees. Food banks continue to provide for some of the ever-increasing number of folk struggling to make ends meet. It would be terribly easy, faced with so many seemingly insurmountable problems, to give up hoping and dreaming. From within the Christian faith we are called upon not only to dream of a just and fair society but to put all our efforts into building that society. So dream with me of a world where children do not go to bed hungry or in fear; where the lonely and the elderly are cared for with dignity and respect; where the poor and vulnerable are not the prey of those with few scruples. Dream with me of a world where we can live in peace, respectful of one another’s beliefs. With increasing levels of poverty across the UK and 3.6 million children across the UK now living in poverty (including 19% of children in Edinburgh); the Church of Scotland has teamed up with the Baptist Union of Great Britain, the Methodist Church, and the United Reformed Church to publish a report on poverty and the misrepresentation of the poor in this country. Thanks to all who attended our Annual Stated Meeting last night. We had a busy but fruitful evening and it was good that we could be together to take stock of our collective progress and look ahead to see how we can better fulfil our mission, vision and aims. It was great to hear all of the work undertaken by the congregation (often on a voluntary basis), and to hear of the many ideas being generated by our congregation on the night, which will fed into Session in the development of our strategy. Particular thanks to all of those who presented, played music, kept us well fed, and those involved in planning and preparing for the event. The Annual Stated Meeting of the Congregation will take place on Monday 19th March at 7.30pm. Why not make an evening of it by joining us at 6.30pm for a potluck supper!! In our Annual Report for 2012, the Kirk Session explained how we should look back upon the shared journey of Newhaven Church through 2012, and discuss and form a Vision and Strategy for the next stages of that journey. We urge members, regular attenders and all people who are even vaguely interested in or connected with Newhaven Church to read the Annual Report and reflect upon it! The Kirk Session’s plans asks a lot of the Congregation and its faith, and if they are to be anything more than words on a page, the Vision and Strategy need the support of the Congregation. This year’s Annual Stated Meeting, which will be held on Monday 18 March 2013, will give all members and regular attenders the opportunity to reflect upon the Vision and Strategy, to discuss it, to ask questions of the Kirk Session and to voice support or otherwise for it. Throughout the week of the General Assembly some 300 stewards help to cover over 1,000 different duties. Each “shift” generally lasts for about two hours and it is up to each steward as to how often they wish to help – some only have time to help on one occasion, whereas others travel considerable distances to help as often as they can. If you think you might like to help us then please get in touch for more information. Your help would be very greatly appreciated.